… and I should add, even if it’s your first day online, and only have $50 or less to spend. I want to give you a formula you can use for ANY niche you decide to enter into. I was recently asked by a customers who is trying to promote a weight loss product – acai berries to be exact. She asked me the best ways to promote her affiliate link without buying ads, or without using article marketing because article directories won’t allow any articles that promote or talk about acai berries! I gave my advice in a couple of steps…. 1. If article marketing is out, get traffic with Youtube videos. Create videos with helpful content about acai berries and weight loss and upload them, with your titles containing keywords. 2. Put a link in the description to a lead generation page (squeeze page). When they land on your squeeze page, offer them a free “giveaway” product if they optin to your email list (autoresponder). For example, a free teaser report about the benefits or dangers of acai berries. The other option, and this is much more effective for cold traffic (i.e. traffic from Youtube) is to make the offer on your squeeze page “blind copy”. Blind copy means you don’t actually let the reader know that you’re talking about acai berries – You hide the fact that it’s anything to do with acai berries and just refer to it as a “weight loss super food”, or something along those lines. The main reason for using blind copy is to muster up some curiosity in their mind so the reader can’t help but to opt-in in to learn more. 3. Another way to drive traffic for free would be by posting in weight loss or mummy, chat forums and social media sites (groups).. and putting your link in your forum signature file! Again you want to send people to your squeeze page so you build your email list. Your email list is your most important asset as an internet marketer. With a list, you can follow-up with them at any time and use the emails to build that all-important relationship. So that’s the ‘what to do’…. The ‘how to do it’ is explained in this next part. This involves actually going out and doing work. However, none of these tasks are overly technical or require a phd in computer science. 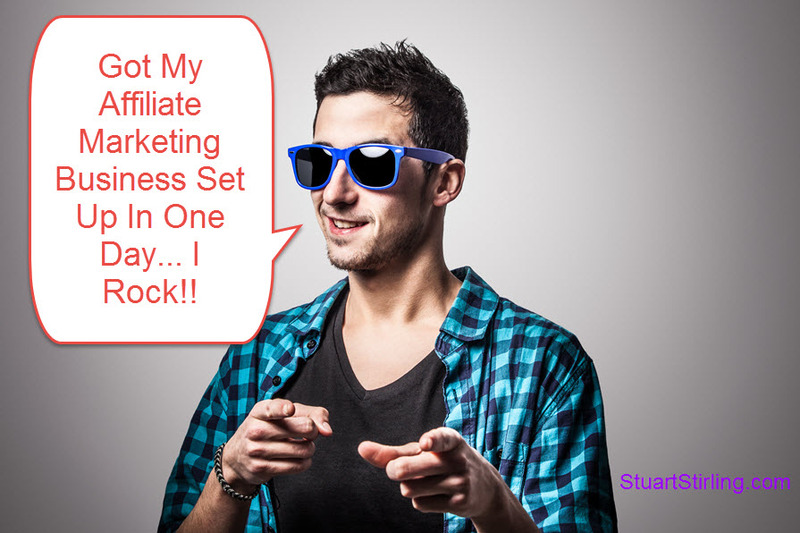 Admittedly, these are the bare essentials, but they’re enough to get you started running a proper, reliable affiliate marketing business. Write a 5~10 page report in Word about acai berries and how they help you burn fat. Focus on the traffic methods I explained above to promote and give away the free report. That there is a quick outline of a basic, but complete affiliate marketing business model. You could literally get this kind of business up and running in one day and for less than $50. Internet marketing doesn’t need to be complex. You just need the right pieces in place. I’ve listed the bare essentials of how to set up a list building system and two examples of how to promote for free, apart from article marketing.